14 February 2017, Oxford - Oxford Genetics, a leader in innovative synthetic biology-based technologies, today announces $500,000 in funding from Innovate UK to support the development of its mammalian display antibody discovery technology. In collaboration with an Oxford-based biopharma company, Oxford Genetics is working to discover novel antibodies against human proteins, for immunotherapy applications. 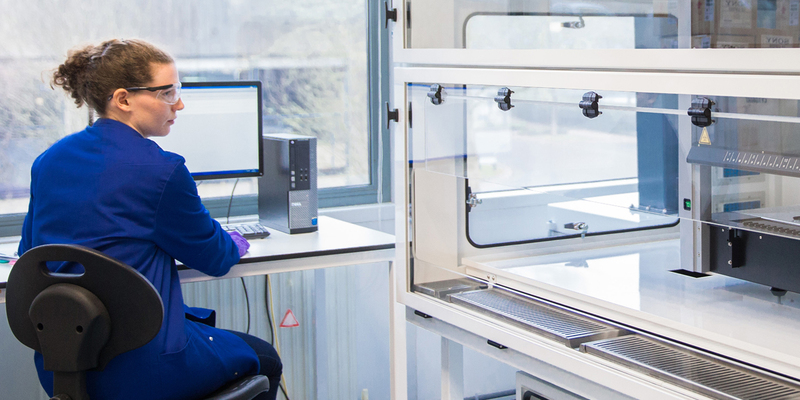 Unlike traditional methods of discovering new antibodies which use animal, bacterial or yeast cells, Oxford Genetics approach uses new technology that allows the discovery of antibodies against human proteins in their naturally occurring state. Furthermore, the use of mammalian systems for discovery and development stages reduces the historically high attrition rate of new drugs when switching from conventional discovery methods to final evaluation in human cells. The grant will support the development of Oxford Genetics proprietary technology and will use machine learning and complex statistical approaches to develop improved libraries for antibody discovery. The project will also make use of Oxford Genetics custom-built robotics platform, developed as part of a previous Innovate UK grant. With MarketsandMarkets forecasting the immunotherapy drugs market to be worth $201.52 Billion by 2021, the advancement of technology to underpin its development is crucial. Ryan Cawood, Chief Executive Officer at Oxford Genetics commented, “We are incredibly pleased to announce this new Innovate UK funded R&D program, following on from our previously announced joint project with Oxford University to develop improved bioproduction systems.